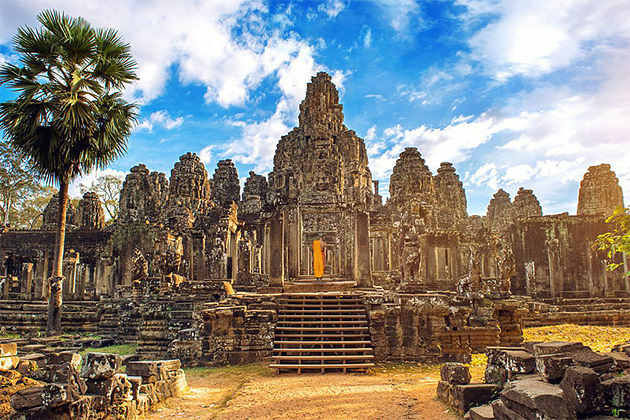 Tour Cambodia, visiting the capital Phnom Penh, there are countless attractions to visit, from high-end to popular goods, from fashionable clothing to accessories, handicrafts items … Along with Go Cambodia Tours points out some of the well-known shopping malls in Phnom Penh. 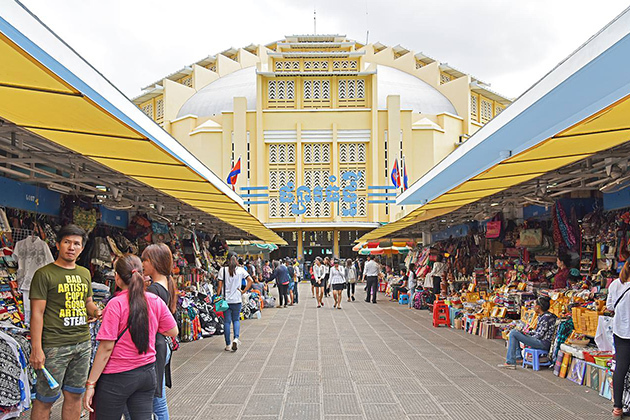 Over the past few years, the vibrant Phnom Penh market with many supermarkets and shopping malls has sprung up, meeting the demand of customers from popular to high-end. 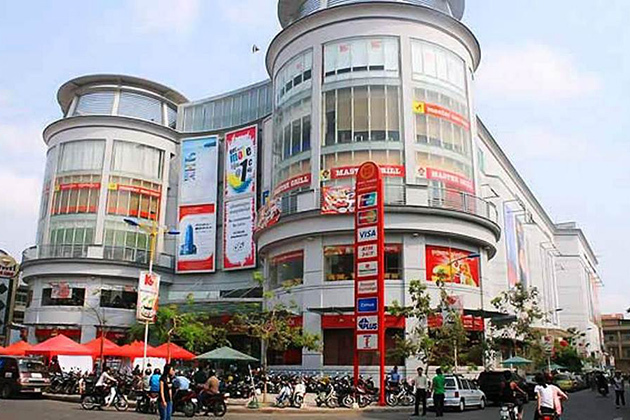 Famous brands such as Gucci, Bvlgari, Louis Vuitton, Skinny, Zara, Mango to Vietnam, Thailand, China … are all located in Phnom Penh shopping centre. Especially, Sorya Shopping Center, New Market, Russian Market, Olympic Market, Treasure Market (Phsa Orussey) are adjacent, very convenient for your shopping tour. 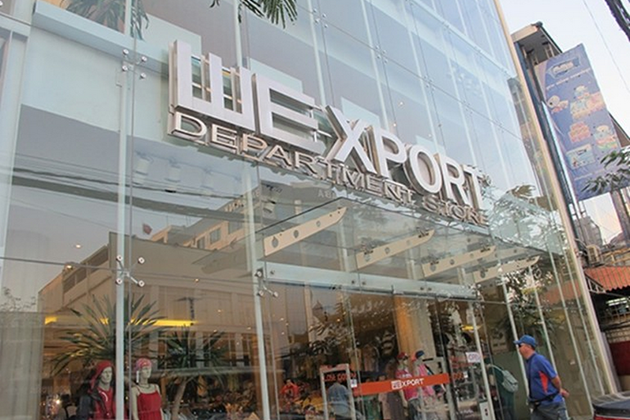 The import tax on Cambodian goods is not too high, so it is easy to understand why Cambodia has become a low-cost brand. Cambodians mainly use Riel in daily activities, which is also the currency of Cambodia. However, for the sake of economic development and tourism, the Cambodian government has long allowed the use of the dollar. So if you do not change your money, do not worry. Shops in Cambodia mainly pay cash, but less payment by credit card so you should prepare cash before going shopping. Address: 13-61, South of Phsar Thom Thmei, Trasak Phaem (St. 63), 12208 Phnom Penh. Sorya Trade Center is the residence of the brand. This is one of the big and luxurious shopping centers in Phnom Penh. With dozens of large and small stalls, designed and decorated eye-catching. Clothing, bags are named by famous brands. Price, quality and origin are all very diverse. Phnom Penh is no stranger to Naga World, Cambodia’s largest and largest casino and entertainment complex, located at the junction of rivers in the heart of Phnom Penh. And there is no shortage of shopping malls for shoppers. The Naga City Walk – Cambodia’s first duty-free shopping complex with more than 200 luxury brands on the same floor. From the entrance hall, visitors continue down the escalator to the lower level, where they open a range of shops ranging from clothing, accessories and cosmetics to the world’s top brands. 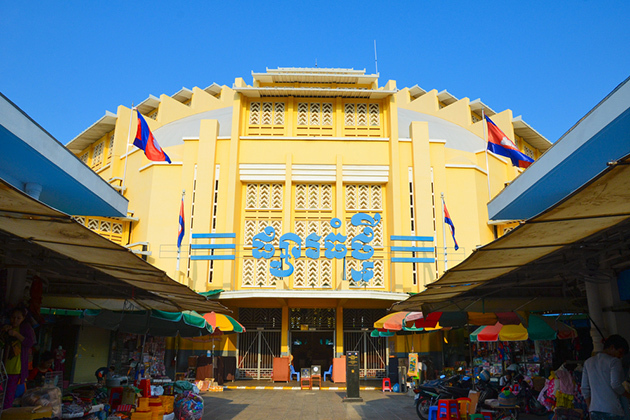 The central market is located 2 blocks from Sorya and features a very distinctive art architecture, considered one of the symbols of Phnom Penh. 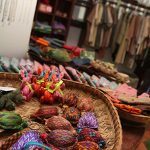 Along the two entrances to the market are a series of souvenir shops: postcards, T-shirts printed in Cambodia, silver pictures, especially Krama scarf. Road near the New Market is the place to sell car toys, making many tourists fascinated. Passers-by will also be overwhelmed by old-fashioned car shops in Phnom Penh. Over $ 10 for a bicycle; over $ 200 and $ 500 for a car. These second-hand cars are mostly American cars, Japan is imported from Taiwan, Japan. The Russian market is adjacent to the New Market, which is rich in goods, the favorite of dust tourists. Most prominent are VCD, DVD, CD and clothes imported from other countries. Jewelry of gold and silver is also available throughout. Russian markets are places to buy fabrics and accessories for clothing. Guests can order at the local shops around at a relatively soft price. The Russian market can be easily communicated in Vietnamese. This is considered a sidewalk showroom because it is easy to buy secondhand handbags with enough labels, the price is quite cheap. 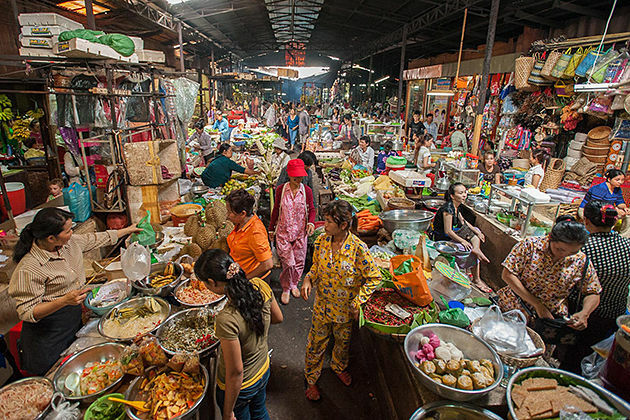 Located in the west of Stay6nouk Boulevard and close to the Olympic Stadium, this famous market is named Olympic. This is the best place for visitors to buy beautiful fabrics, quality or traditional costumes. In addition, this market also sells footwear, handbags, accessories and clothes imported from Korea, Thailand, China and Vietnam. 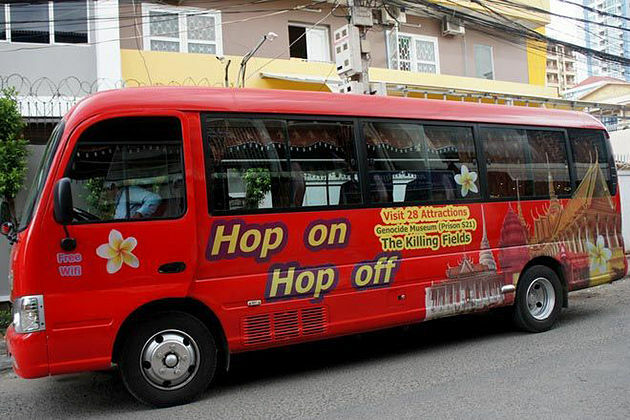 Address: 1st Street (Preah Sisowath Quay), Wat Phnom Ward, Daun Penh District, Phnom Penh, Cambodia. 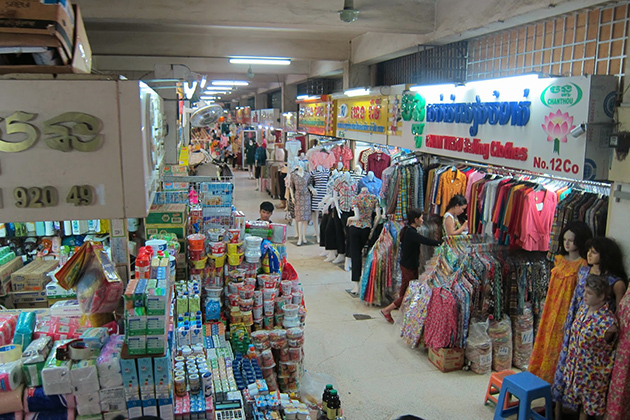 Night market culture is available, the Phnom Penh night market is next to the Sisowath pier on the Tonle Sap River. Night market opens from 5.30-11h30 Friday to Sunday every week. Besides the clothing, souvenir items, visitors can enjoy many delicious specialties of Cambodia such as vermicelli, jelly tea, insects in this market. Address: 87 City 274 (Sihanouk Boulevard), Chamkar District Mon. Go to the supermarket Wexport, you will be overwhelmed by the luxury world. Five-storey supermarkets selling all kinds of clothing, shoes branded with the world famous brands such as Adidas, Forever 21, Zara, Skinny … imported from the EU and USA, with high quality and only sell in USD. In Cambodia, buyers can use two currencies, Cambodian and Vietnamese, at a rate of $ 1 = 4,200 riels. USD is preferred at most points of payment. Lucky is the largest supermarket chain in Cambodia, where it sells everything needed daily. 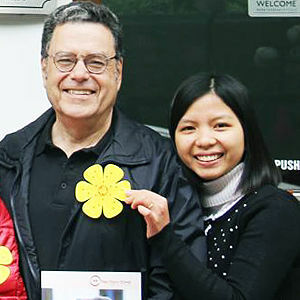 Guests can come here to buy the necessary items during the trip.